Act 706 requires additional financial disclosures from local auditees. If you are involved in financial reporting for a public or quasi-public entity in the state of Louisiana, you may not be aware of important revisions to the Louisiana Revised Statutes that went into effect last year. As of Aug. 1, 2014, quasi-public nonprofit organizations and government entities need to account for Act No. 706, which alters the requirements originally laid out in R.S. 24:513(A)(3). The amendment issues a broader definition of which entities must submit a supplemental schedule, and lays out the specific documents necessary for the process. 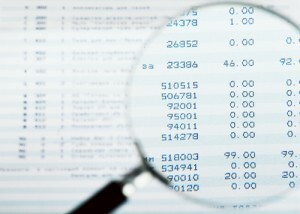 It's important for you to understand these additions to complete financial reporting for your organization this year. Act 706 adds language to R.S. 24:513(A)(3) that alters the definition of "local auditees." According to the original law, local auditees' financial statements must be reviewed or audited by certified public accountants or the Louisiana Legislative Auditor, depending on the circumstance. The new rule adds two phrases that increase the number of entities that are local auditees. Under Act 706, "all political subdivisions created by parish governing authorities or by law" and "all political subdivisions created by municipal governing authorities or by law" are now treated as local auditees. "Act 706 expands the number of local auditees." Act 706 also expands the amount of information auditees need to report. Now, all compensation given to the agency head, political subdivision head or chief executive officer must be disclosed in a separate supplemental schedule. This includes details related to housing, travel, reimbursement, per diem and more. This supplemental information will make these individuals' compensation details far more accessible to the public. A specific template has been made available for auditees that need to comply with the new rule. Even in situations where the agency head or executive does not receive compensation for their work, the organization must submit a report that notes the lack of compensation. The additional reporting rules put increased pressure on auditees who must supply the appropriate compensation information, and will result in greater work for CPA firms that audit this information. CPAs will have to provide "in relation to" opinions on the supplemental information. If your organization is impacted by the new act, or you need clarification on any element of reporting requirements, contact a member of the LaPorte Public Sector industry group.